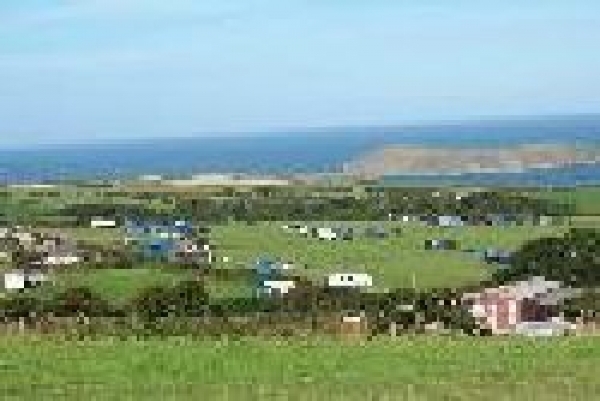 Welcome to Nant y Croi Farm caravan and camping site. Come and enjoy your holiday on our working farm with spectacular sea and costal views over Cardigan Bay. The site which is 150 metres from the farmyard extends over lush green land gently sloping to the coast. The electric hook ups, toilets and shower are situated near the site entrance. The farm has it?s own private cove ideal for swimming and enjoying sea-life. Dolphins and seals are regular visitors to the seas and rocks around the edge of the farm. The cliffs are home to many species of rare birds, a bird watchers paradise. The farm has its own path to Mwnt beach a sandy bay ideal for swimming and beach activities only a 15 min walk along the coastal path. Near Aberporth - a sandy composition 1.1 miles away. Near Cardigan - a sandy composition 1.8 miles away. Near Cardigan - a sandy composition 2.1 miles away.